But first, grab your FREE general Tax Preparation Checklist below! When preparing for the tax season, please keep in mind that you can write-off expenses that are common for your profession and ones that are necessary to help you complete your job as a teacher. What is the $250 Educator Deduction or Education Expense Deduction? The Educator Deduction allows you to deduct up to $250 in school-related expenses from your income. If you and your spouse are educators and you file jointly, both of you can claim up to $250 each (a $500 total for both of you). 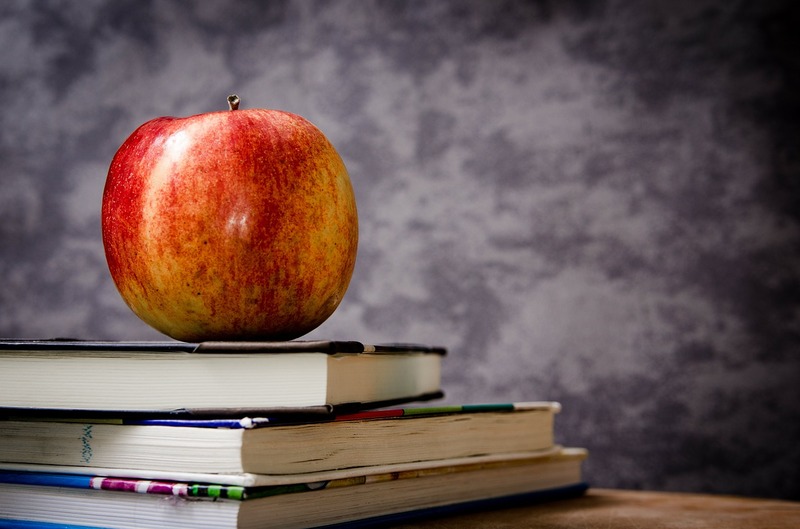 If you have more than $250 in educator related expenses or if you don’t qualify for the deduction, then you may be able to deduct a portion of your unreimbursed expenses for school supplies. Just be sure to speak with your tax advisor if this is your scenario. Who can claim the $250 Educator Expense Deduction? Your work outfit has to be specific to the work you do as an Educator or Teacher. For example, uniforms, school required shirts, or shoes are items you can write off when doing your taxes. Any amount you spend on materials you purchase as an Educator or Teacher for your job. Being licensed is a common requirement for professionals in the education industry. Good thing for you is that you can write-off the fee associated with getting your license and maintaining your license. When it comes to your education, which is highly important to stay competitive, these fees can also be written off. Along with any travel associated with obtaining your continued education, such as teacher-related conferences, meetings, and seminars. Once licensed, you can deduct the cost of any continuing education classes needed to improve your skills. If you completed your college degree last year or any other schooling, you may be eligible for a tax deduction or credit. Tuition for school has to be done separately with the 1098-T form that you will receive from your school. Subscriptions to magazines or books related to your job also count as deductions since you need them to stay up-to-date with the latest trends. Are You a Travel Teacher? Services such as dry cleaning or places online to get classroom worksheets are examples of services needed to maintain the integrity of your job. Travel Teachers are generally independent contractors, meaning self-employed. Whatever way you are paid, you’ll want to keep track of every amount of money you receive. 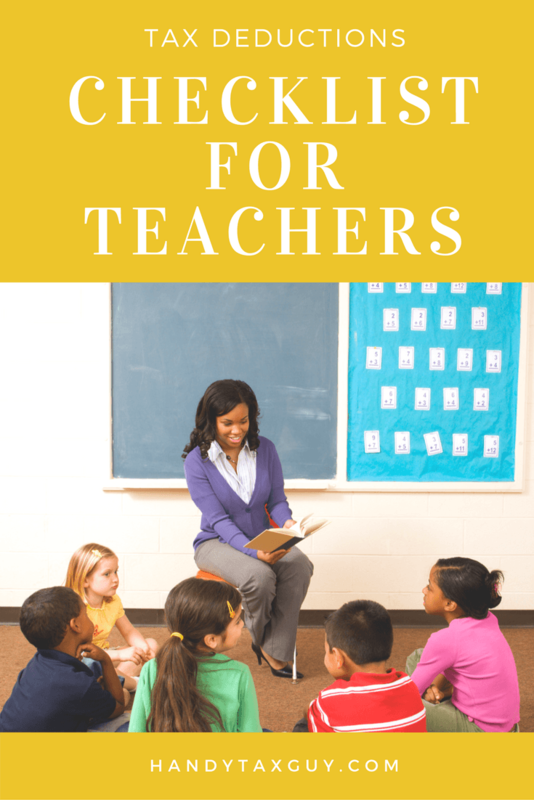 IRS Form 1040 is needed to write off your expenses as a Teacher. The expenses of your business will be placed inside the deductions area of Form 1040. As an independent contractor you’re accountable for all of your tax payments plus your travel expenses. Deductions reduce your tax payments as mentioned before. There are also traveling Teachers who work as full-time W-2 employees for education staffing agencies. An itemized deduction is only needed if your expenses are more than the set standard deduction dollar amount. You can use the IRS Form 1040 Schedule C if you need to itemize your deductions. You may itemize expenses if your expenses exceed 2 percent of your adjusted gross income. I hope this tax deduction checklist helps you navigate through the tumultuous waters of the income tax season. Let me know which deduction surprised you the most in the comment section below! Don’t forget to grab your copy of the Teacher Tax Preparation Checklist Below!